Tiny has been making headlines for her marriage with T.I. for quite a long time now. She filed for divorce, but they have reunited during this summer. She also confirmed on the Wendy Williams Show that she has been able to work things out ‘with T.I. and that they are actively trying to get their marriage back on track. On the other hand, in the last few weeks that have been quite distanced from each other and Tiny is reportedly angry that he spent $100,000 on strippers with Diddy. 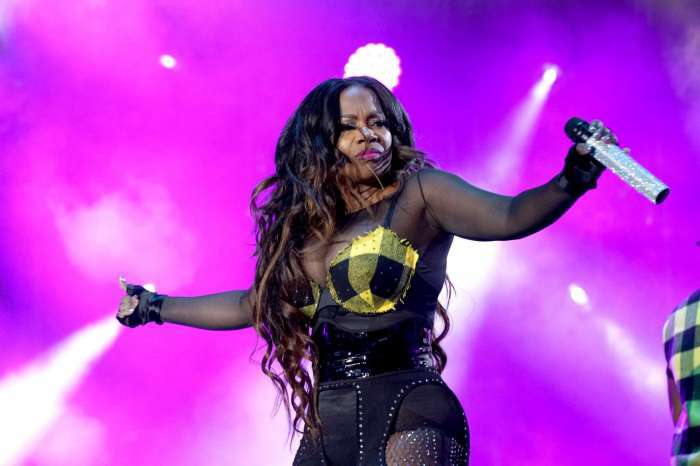 All this has quickly raised concerns that the couple couldn’t work out their differences and were heading for yet another split, but in a new interview with Andy Cohen’s Watch What Happens Live!, Kandi Burruss, friend, and member of Xscape stressed something somewhat meaningful. “Y’all ain’t broken up,’ Kandi said while directly looking at Tiny Harris after being questioned on whether or not she was still with her rapper husband. Kandi, who’s been a close friend to Tiny Harris for well over two decades, apparently would know what’s going on in the household of the Harris family, so it definitely seems like things are still right between the two. Tiny did stress, however, that trying to get back on good terms with former partners has proven itself to be quite tricky, which is why she brands the reconciliation as a work in progress. Tiny strongly hints at her marriage being nowhere near perfect. With everything that has happened, letting someone back into your life after filing to divorce them isn’t an easy thing, especially if the reasons for the initial breakup are still happening.